It's putting its Mobile Power Packs to the test in Indonesia. 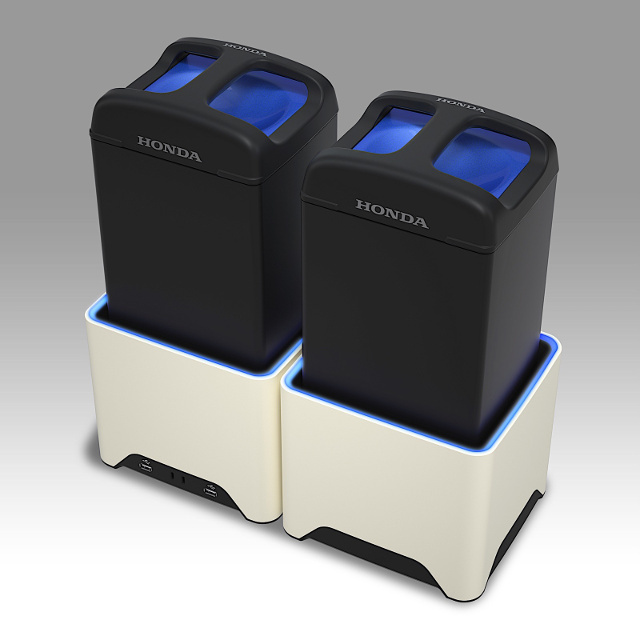 Honda has teamed up with Panasonic to start testing the swappable rechargeable batteries it debuted at CES this year. The partners are bringing Honda's Mobile Power Packs to Indonesia, where they'll be used to power electric mobility products, particularly electric bikes. Indonesia is the third largest motorcycle market in the world after India and China, and its government has been thinking of ways to reduce traffic and pollution brought by the rise of the two-wheeled vehicles. One of the solutions it came up with is to encourage the adoption of electric-powered vehicles, making the country one of the best places to test the batteries. Honda, Panasonic and a local Indonesian partner are hoping to prove that the Mobile Power Packs can address common issues associated with electric vehicles, such as range and charging time. The plan is to install charging stations at dozens of locations, all of which will be charging several power packs at all times. That way, people can go in, swap their empty battery for a fully charged one and quickly get back on the road. They're launching the experiment in December 2018 in select locations across the country.